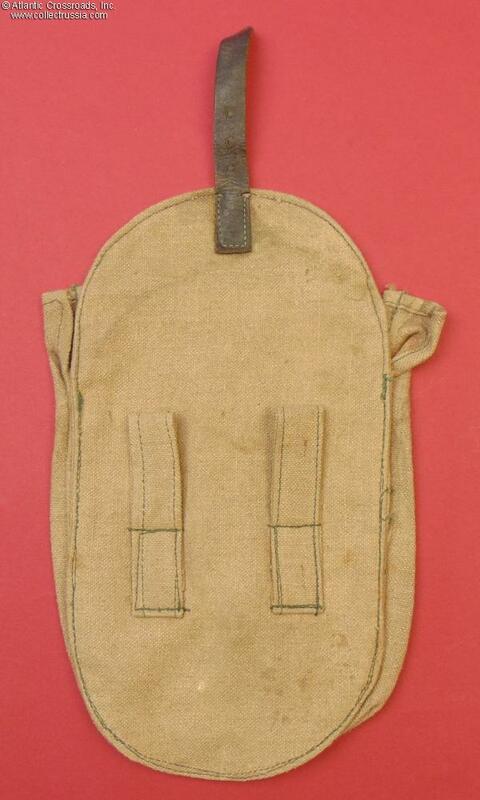 Canvas pouch for PPSh SMG drum magazine, simplified wartime version, early 1940s. 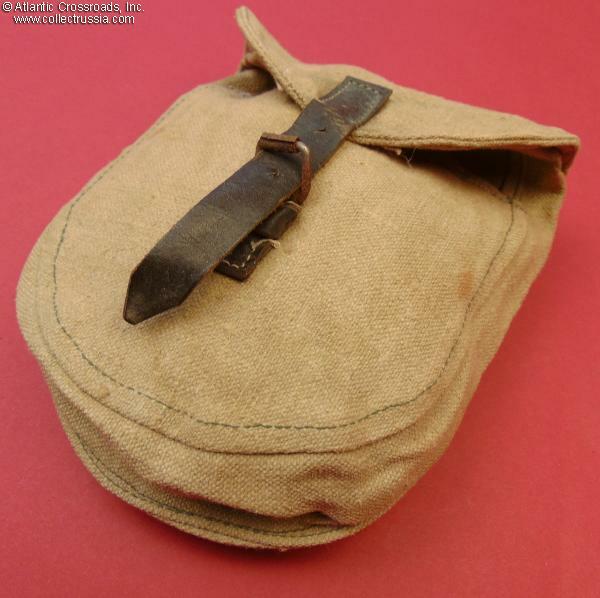 The simplified construction in tan canvas and rough leather strap clearly indicate that this pouch is from the early Patriotic War period, most likely from 1941-42. The leather is of the kind not used after the war. The buckle closure is in magnetic steel. 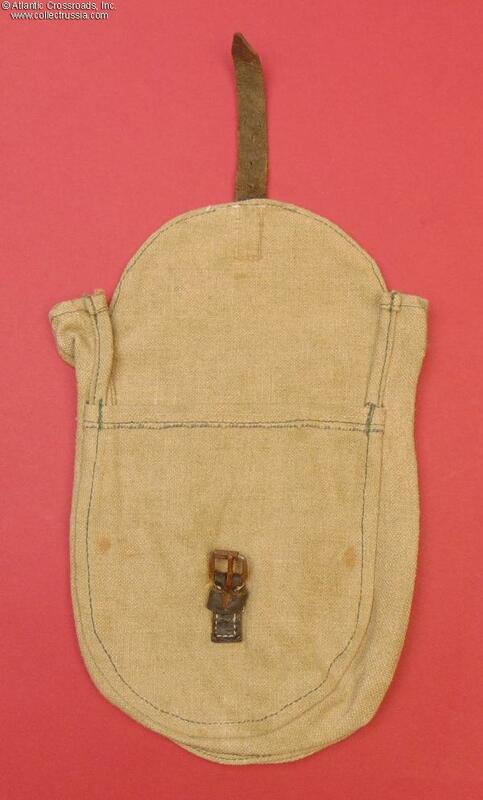 Simple belt loops on the back. 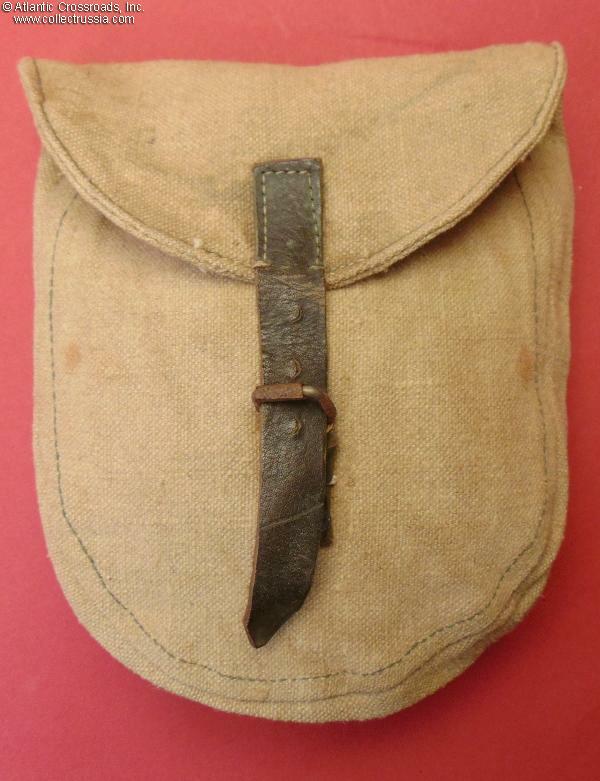 This pouch is in excellent unissued condition. 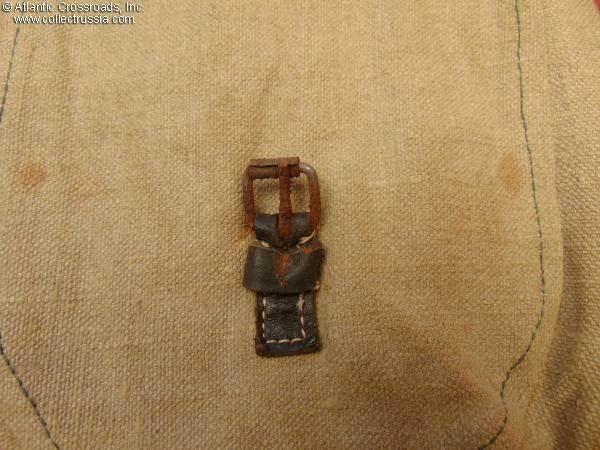 Shows only minor oxidation to the buckle. 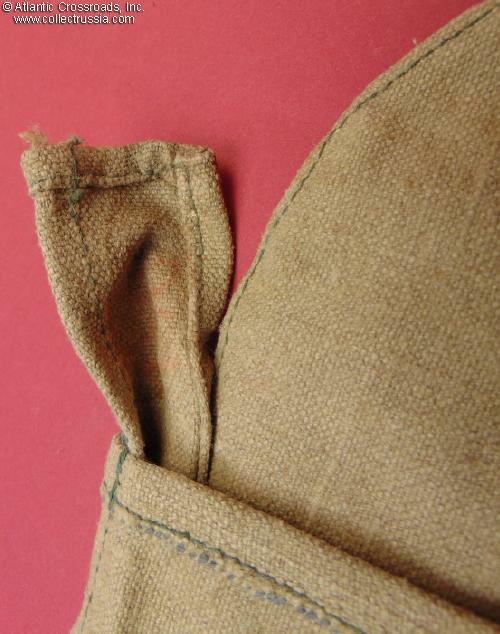 The canvas may have an occasional light stain or scuff from storage, but it is very sound and clean overall. The leather strap is still pliable, not overly dry and stiff as is often the case with surplus WW2 Soviet equipment after decades in an uninsulated warehouse. Please note, we have several pieces in stock which may slightly vary; our photos show a representative example. The quality and condition will be exactly as in the photos.